← Go With What You Got! It was another rainy day here, and two of my three little birds were home with me. So we hung out doing the things we love to do on rainy days: making arts and crafts, reading, and cooking together. My kids LOVE to help me in the kitchen. We turn on some tunes, break out our ingredients, and get messy. In our family, I think it’s the fun times we spend making food together that fosters a willingness in my children to try different foods. Today’s a good example of that. 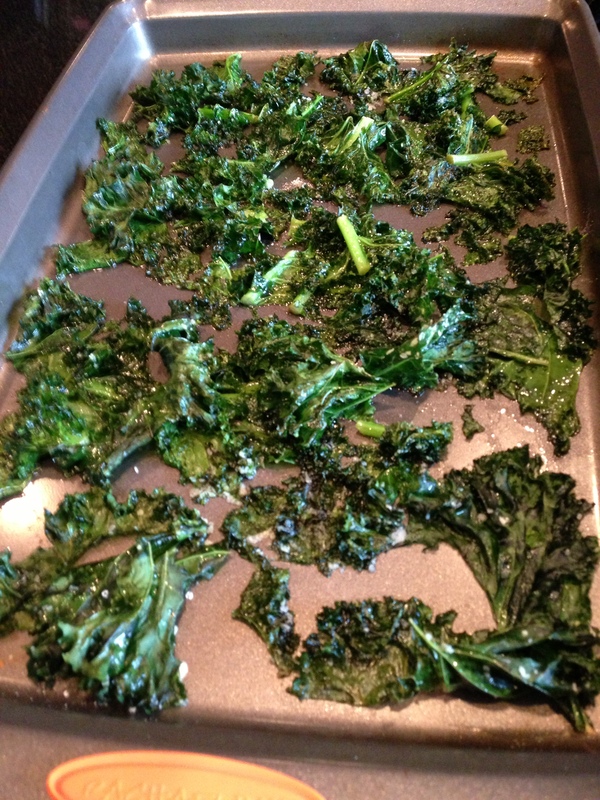 You may have noticed from some of my other posts– I’m all about meals-made-easy and it doesn’t get easier than this quick, yummy snack: kale chips. 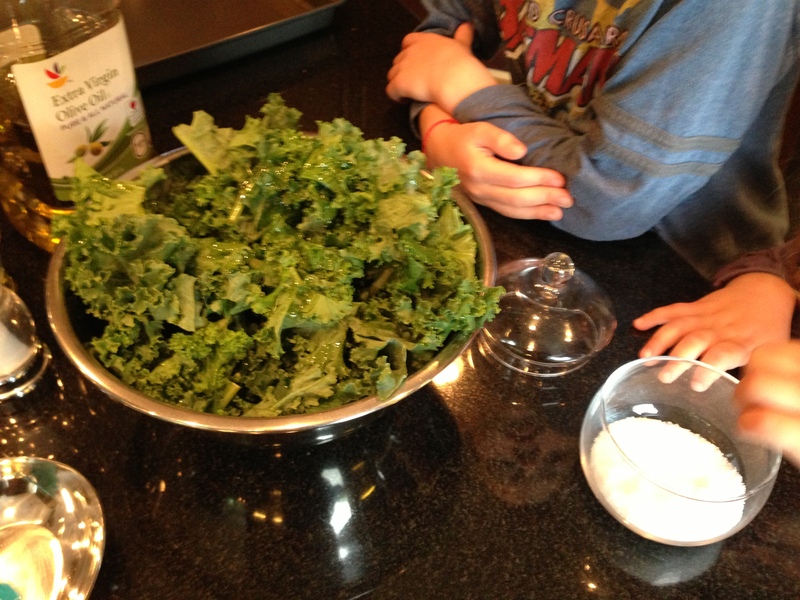 I know from previous attempts at making kale chips that my 5yo LOVES them; but my 6yo would not, could not eat them with a goat. 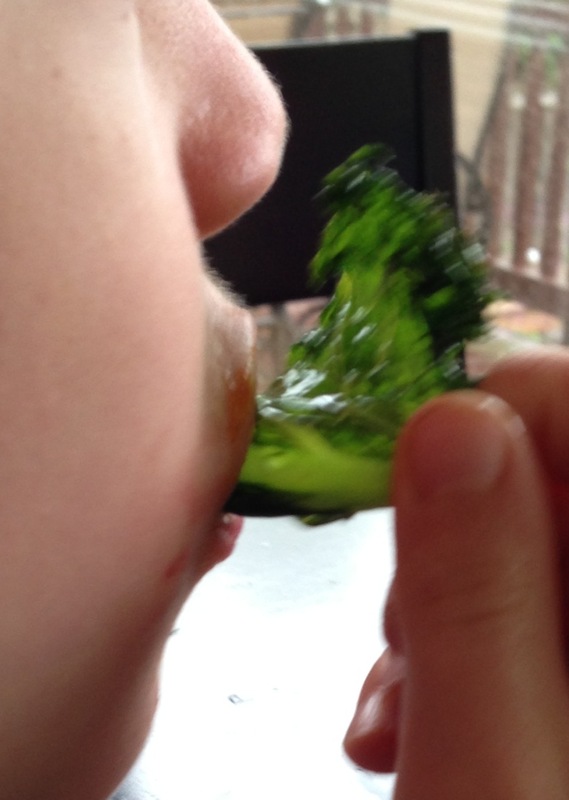 So, it was a good thing my older boy was at school and couldn’t influence his younger sister. This was, I believe, her first try. 350 degrees for 15 minutes and we’re snacking.